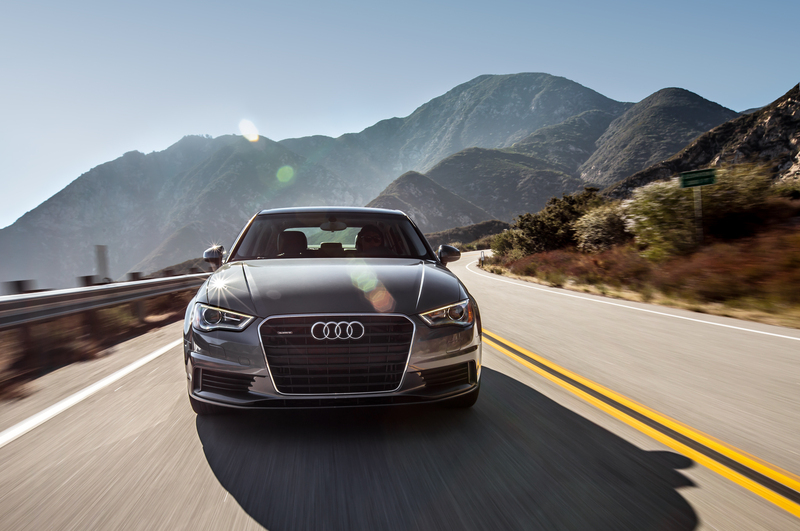 Good thing, meet small package—the Audi S3 blends high-performance and high-tech know-how into a zesty compact sedan. With accurate (albeit lightly weighted) steering, plus all-wheel drive and a sport-tuned suspension, it’s a charming and eager companion. The 2.0-liter turbo four makes 306 hp; a seven-speed automatic is standard. Passengers are treated to comfortable and supportive seats. A 12.3-inch driver-oriented display provides everything from vehicle speed to navigation functions. With nearly 300 hp, Quattro all-wheel drive and a six-speed transmission, the S3 is the small sporty sedan most of us here would choose. Its perfect balance of performance, comfort and technology acknowledges that not everyone wants their driving machine to be one-dimensional. Instead, Audi’s engineers fiddled with the suspension, steering, and all-wheel-drive systems, and the ride-and-handling package is really the stuff you’ll stay for, even if you come for the engine. The decision-making for the BorgWarner (née Haldex V) all-wheel-drive system’s electronically controlled multiplate clutch is now handled by the same electronic brain as the stability control, traction control, ABS, and more. It means that all the decisions about the S3’s handling, ride, and stability are now made in one spot, from one set of data, at the same time. So the same brain that decides when to wake up the rear diff also decides how much work to give it, how much traction each tire can handle, and when grip is getting a bit iffy. It’s meant to make the car react more quickly and cohesively, and it works. Reworked differentials also play a role, with both the front and rear diffs now capable of taking 100 percent of the engine’s power and torque. That alone would give the car’s electronic brain a wider range of torque-management options. Audi doesn’t make much fuss about it, but the electrohydraulic steering programming has been changed, too.